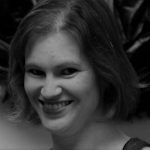 Gina Soranno McCann is a Chicago native and a graduate of the University of Illinois at Urbana-Champaign with Bachelor of Music in Vocal Performance. A featured soloist with several bands and clubs in the Chicago area, she returned to her classical music roots where she has performed with San Diego Opera, Opera Pacific, and has been a guest soloist with the Saddleback Symphony and Orange Coast College Symphony in Orange County, California. 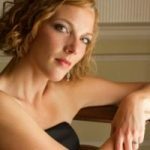 She has sung with the Tucson Symphony Orchestra, Pacific Chorale, Irvine Camarata, Corona del Mar Baroque Festival, and Ojai Music Festival. She currently resides in Oro Valley where she is a staff musician at St. Mark the Evangelist Catholic Church.